Devin finishes his season with a bang! At the Grand Opening of the new Princeton Show Jumping at Hunter Farms, Devin had top placings during all 3 weeks, including taking home 1st & 2nd in the $35,000 Grand Prix for week II with No Worries and Roman Saluut, respectively. This followed his week I finish of 2nd out of 30 with Zosja in the $30,000 Grand Prix. He continued his winning ways into week III with a 2nd for No Worries and 5th place finish on Roman Saluut from a field of 28 in the $40,000 Grand Prix 1.50m. Week I - Calissandro: 5th of 27 in the $10,000 Princeton Welcome Stake 1.40m, 7th of 30 in the $30,000 Princeton Grand Prix 1.40m. Week II - No Worries: 2nd of 28 in the $10,000 Princeton Welcome Stake 1.40m. Week III - Calissandro: 8th of 38 in the $10,000 Princeton Welcome Stake 1.40m. Devin & Boucanier finish 4th overrall from a field of 15 riders competing in the $30,000 6 YO Eastern Finals held during the 2012 Hampton Classic. In addition, he was 6th of 15 on Honolulu 111 in the $20,000 5 YO division. Congrats also to Mike & Lexus with their Championship in the Adult Amateur 1.10m Jpr division - 1st of 25 and 2nd of 47 in the $3500 M&S Ad Am Jpr Classic! No Worries: $25,000 Fidelity Grand Prix N - 11th of 19. $500 1.20m Jpr - 5th of 49. Roman Saluut: $25,000 Fidelity Grand Prix N - 12th of 19. $3500 1.30m Jpr - 1st of 23. Calissandro: $5000 1.40 Jpr - 7th of 13. Equine Insurance Speed Stake 1.35m - 9th of 23. Boucanier: $1500 1.30m Jpr - 3rd of 43, $2000 1.30m Jpr - 8th of 24. Honolulu 111: 1.15m Jpr - 2nd of 9, $750 1.20m Jpr - 3rd of 8, $1500 1.20m Jpr - 2nd of 6. Zosja: Equine Insurance Speed Stake 1.35m - 7th of 23. Lexus: $1000 High Ch/Ad Jpr 1.10m - 1st of 20, $1500 High Ch/Ad Jpr 1.10m - 1st of 18. $3500 High Ch/Ad Jpr Classic 1.10m - 1st of 16. **Congrats Mike & Lexus on a clean sweep of their division!! Roman Saluut: $30,000 Mt. Equinox Grand Prix N - 1st of 23. $10,000 Kenneth Cole Welcome Stake 1.45m - 5th of 24. Boucanier: $1000 1.30m Jpr - 3rd of 24, 1st of 11. 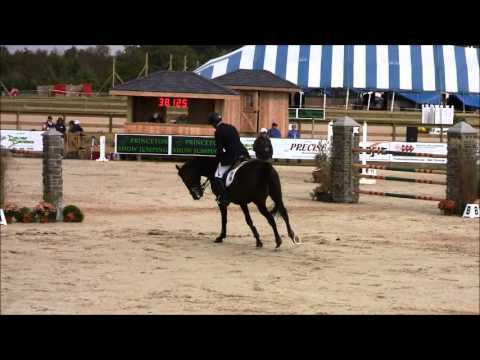 Zosja: $5000 Open Jpr 1.40m - 3rd of 13. Rocket Cruiser: 1.15m Jprs - 1st of 7. Lexus: Ad Am Jpr 1.15m - 1st of 7, $2500 M&S Ad Am Jpr Classic 1.15m - 7th of 12. $2500 NAL/WIHS Ad Am Jpr Classic 1.15m - 8th of 16. Lady Lin: JR/AO Jpr Low 1.30m - 3rd of 6. JR/AO Jpr Low Classic 1.30m - 10th of 30. Viola-VDL: Ad Am Jpr 1.15m - 4th of 7, $2500 M&S Ad Am Jpr Classic 1.15m - 2nd of 12. $2500 NAL/WIHS Ad Am Jpr Classic 1.15m - 4th of 16. Eclipse: $2500 M&S Ad Am Jpr Classic 1.15m - 5th of 12. Muffin: Chld Jpr Low 1.05m - 2nd of 4, 1st of 24, Reserve Champion. Devin Back-to-Back Grand Prix wins at VSF! Devin scored his second consecutive grand prix victory at the 2012 Vermont Summer Festival by winning the $30,000 Mount Equinox Grand Prix, sponsored by Hand Motors, on Saturday, July 28. The six-week Vermont Summer Festival, held at Harold Beebe Farm in East Dorset, VT, began on July 4 and continues through August 12. A total of 23 horse and rider combinations contested Saturday’s Grand Prix, navigating a technical track set by course designer Ken Krome of Westminster, MD. Seven were able to post first-round clears to advance to the jump-off, where it was the lightning fast round of Devin Ryan and Roman Saluut that earned top prize.